The Huff House wll showcase vintage Easter photos and memorabilia in April. Everyone is encouraged to visit the Huff House in April to see the Easter display's. The Chatsworth Depot and The Wright Hotel, located at the corner of Market Street and First Avenue in downtown Chatsworth were important local gathering places back when the City was established in the early 20th Century. 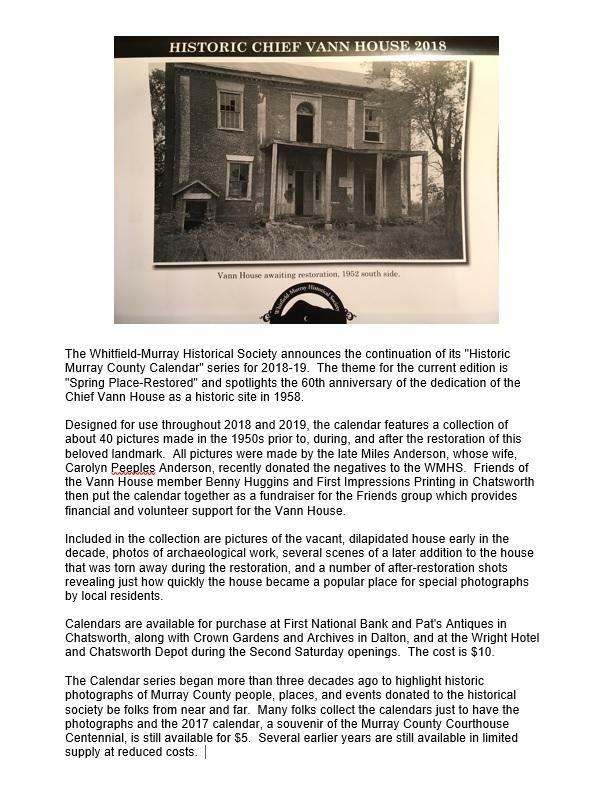 The Whitfield-Murray Historical Society hopes to bring back those days with its annual “Second Saturday” events at these historic venues. The 2019 “Second Saturday” season gets underway on April 13 when the popular model train expo that delights visitors of all ages returns to the Depot. Highlights include live steam model trains, an outdoor model sponsored by the Georgia Garden Railroad Society (weather permitting), a model that kids can operate, a train installation train van with push button sounds, and other model trains as well as vendors selling models, accessories, and railroad themed clothing for kids and adults. 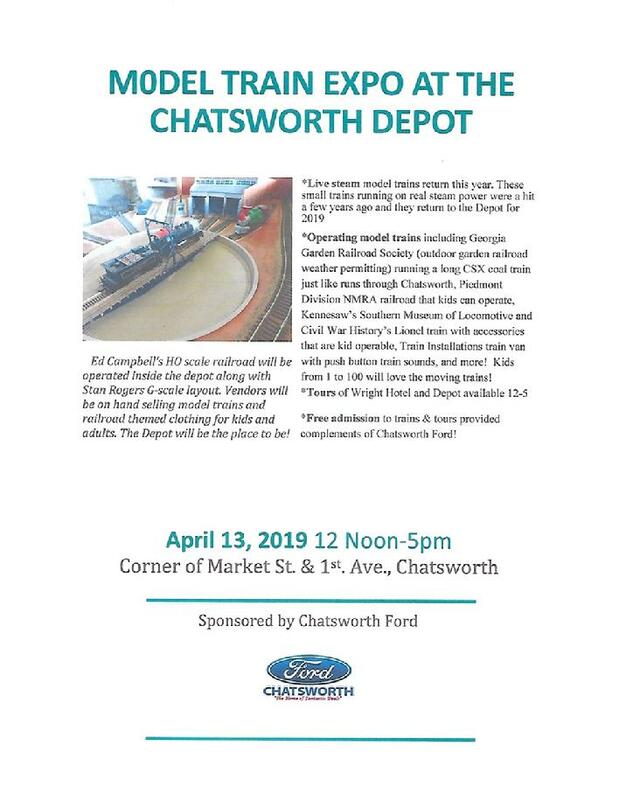 Chatsworth Ford continues to sponsor the day and there is no admission charged for the event which will be open from noon until 5 p.m.
For many years travelers on the original Louisville and Nashville Railroad through Chatsworth could spend the night at The Wright Hotel. This National Register Historic Site was constructed in 1909 and operated into the 1960’s. This three-story structure will be open for tours as well. The building features period furnishings along with exhibits about early Murray County history. On display for the first time will be a collection of artifacts and photographs from the famous “Rock Building”, the original home of Murray County High School. Celebrating its 85th year in 2019, the wonderful old building was gutted by fire a few years ago and underwent an award winning restoration to become the administrative center of the Murray County School System. Among the items on display will be class rings, diplomas, and even pieces of old lockers complete with the user’s name. Visit and learn how these remnants managed to survive the flames and also see a “new” selection of hand tufted and chenille bedspreads from the historical society’s growing collection of locally made textiles. These tours are also free and begin at noon. The last tour begins at 4:15. For more information check both the Wright Hotel and Chatsworth Depot Facebook pages as well as the historical society website at www.whitfield-murrayhistoricalsocity.org. 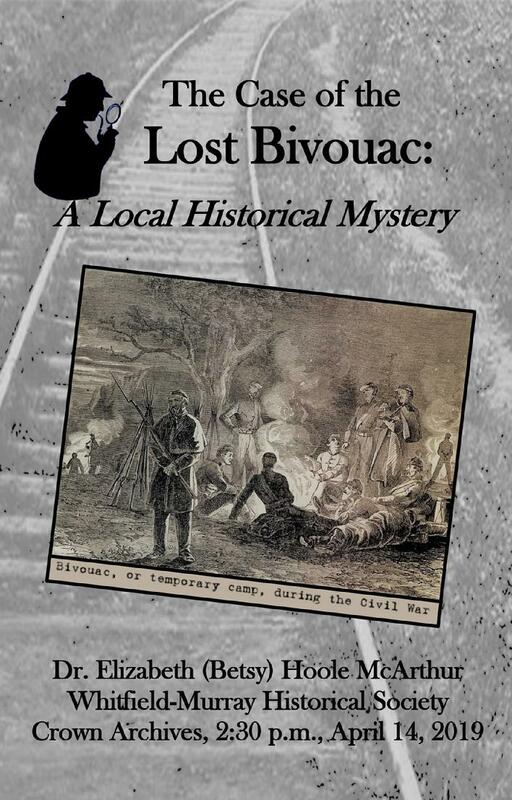 Dr. Betsy McArthur will share her process for solving a local mystery at the Sun., Apr. 14 meeting at 2:30 p.m. at the Crown Archives. Dr. McArthur will trace her sleuthing process that began with a family letter. This program is a must-see for anyone who researches a family tree. 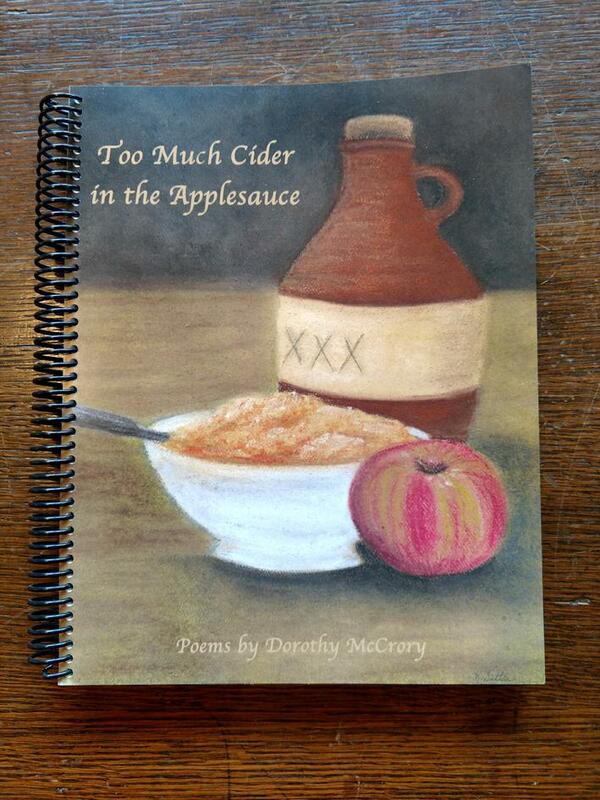 Copies of Dorothy "Dot" McCrory's poetry book, "Too Much Cider in the Applesauce," are available at the Crown Gardens & Archives, 715 Chattanooga Ave., Monday through Friday from 10 a.m. to 4 p.m. Copies are $25. A copy can be mailed for $30. Book sales benefit the Lesche Club scholarship fund. 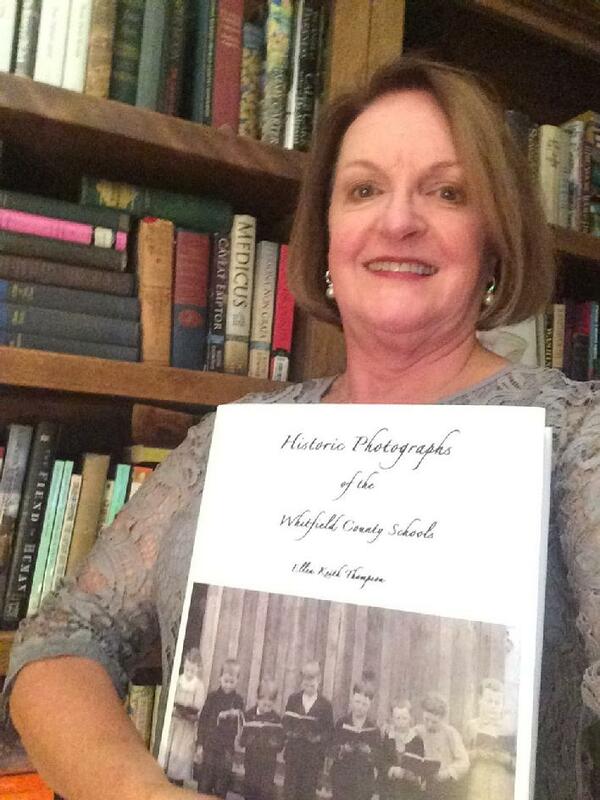 Copies of the Historic Photographs of The Whitfield County Schools Available For Purchase! The Historic Photographs of The Whitfield County Schools by Ellen Keith Thompson is available for purchase. If you're interested in purchasing the book, please mail a check payable to WMHS to P.O. Box 6180 Dalton, GA. 30722 in the amount of $50 (includes shipping and handling). 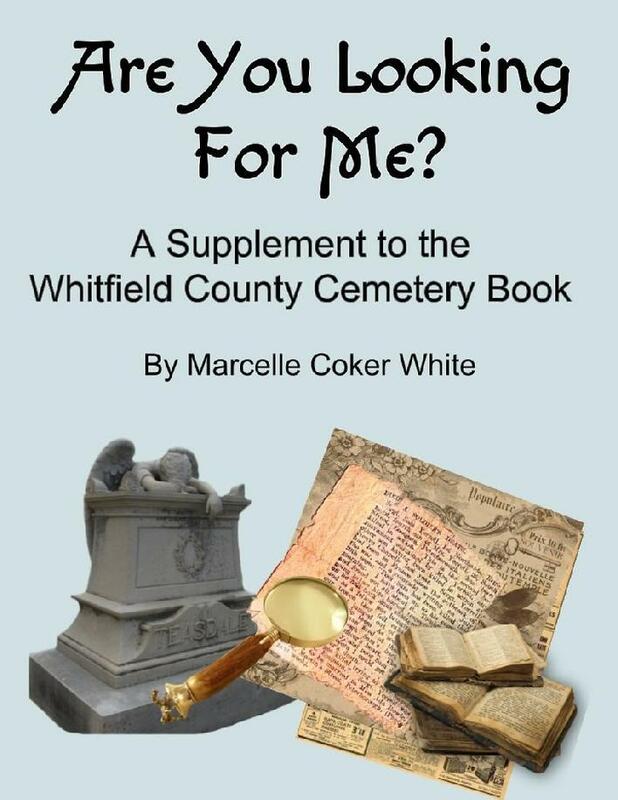 Or, you can purchase the book at the Crown Gardens & Archives for $45 located on 715 Chattanooga Avenue, Dalton, GA. 30722. All the proceeds from the books sales will the basis of the endowmenet fund for the 40th Anniversary. Hours at Crown Garden and Archives! To better serve our community we will now be open M-F 10am - 4pm. We will also be open by appointment on weekends and evenings for research and events! To make an appoinment please call during our business hours! Hours at Blunt House, Hamilton House, and Huff House! The Blunt House and Huff House are open for tours on Fridays from 10 until 4. Hamilton House is open by appointment by calling the Archives at (706) 278-0217. List of family files under Genealogy.